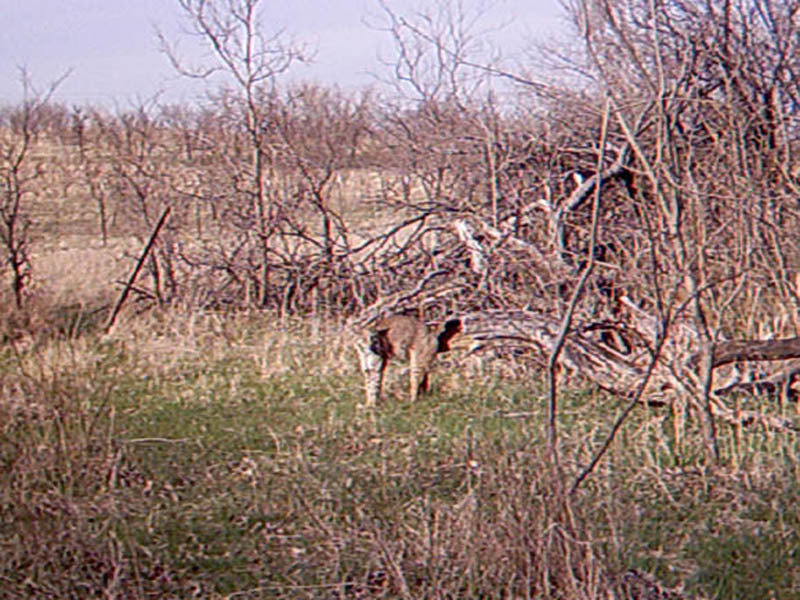 This series of Bobcat photographs was taken by a scouting camera that I had set up to record Coyote activity. 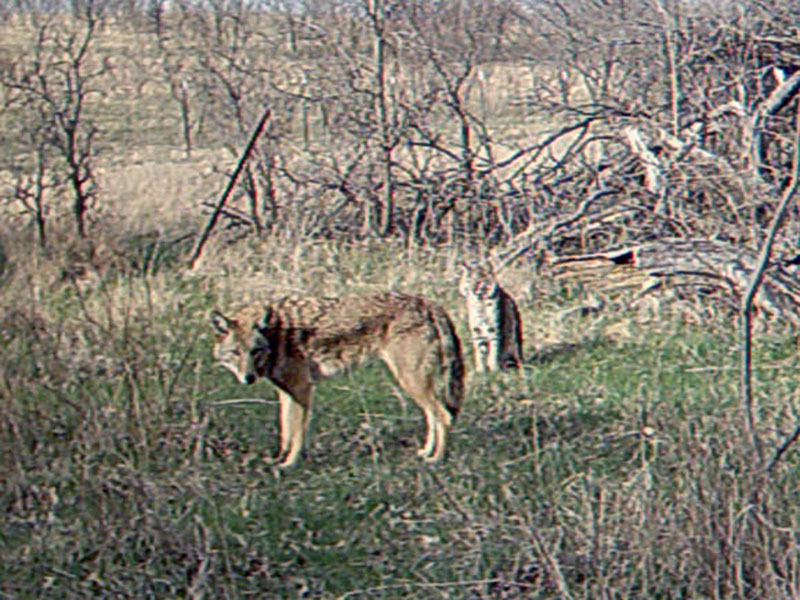 The camera was baited with apples, and had attracted a large number of Coyotes prior to this Bobcat’s arrival. The camera is set up perpendicular to a well worn cattle trail that runs from one side of the picture to the other. 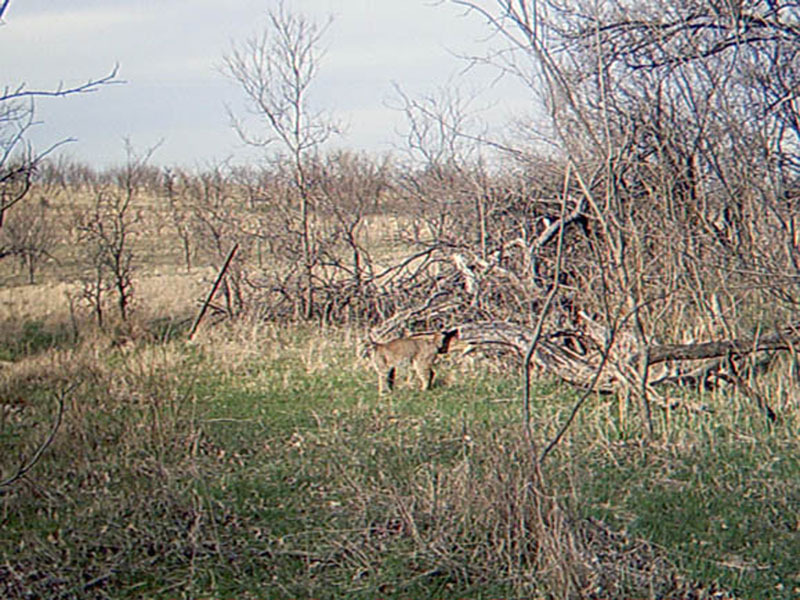 This Bobcat was most likely following the cattle trail when he stopped in front of the camera. The Bobcat appeared to be marking its territory by spraying urine on the tree trunk it is standing in front of. 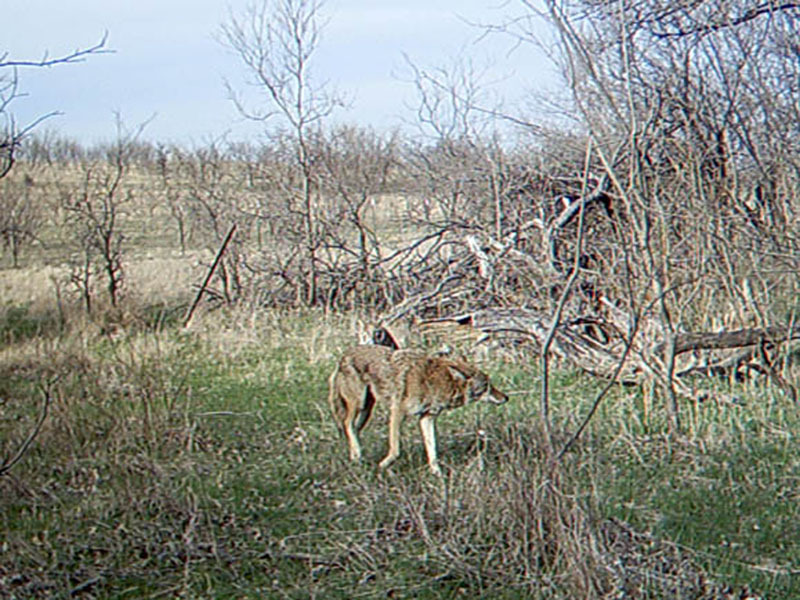 Then the unexpected happens, and a Coyote shows up on the scene. This Bobcat seems to be in the process of marking its territory by leaving its sign on the old fallen tree. The Bobcat spent at anywhere from 30 to 60 seconds in front of this fallen tree. This site had been baited with apples in order to attract Coyotes. 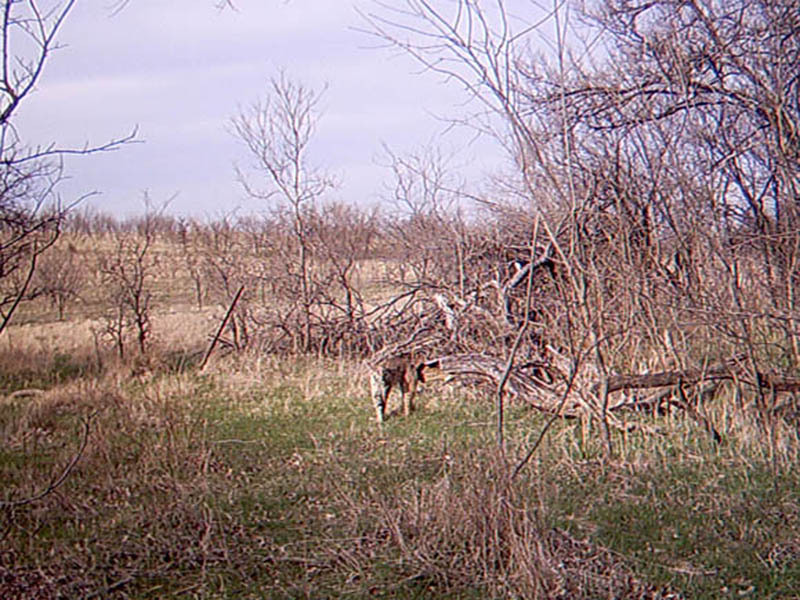 This Coyote is returning to the location even though the apples have been gone for some time now. 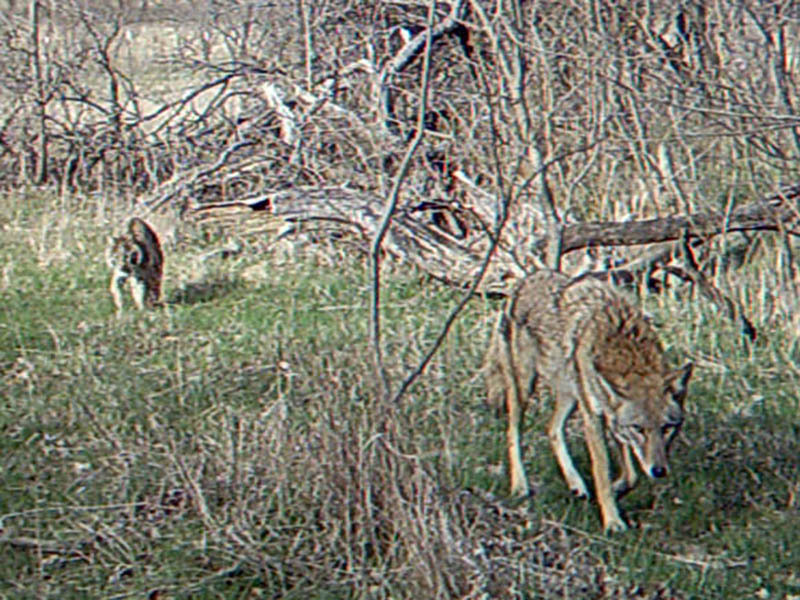 Over the course of approximately one minute the camera records no signs of antagonism between the Bobcat and the Coyote. A short time later they begin to move on, apparently together.